Much was made this week of the fact that Mariah Carey's new album sold just 58K copies in its first week. That was the slimmest first-week tally for a Carey studio album since Nielsen SoundScan began tracking music sales in 1991. But another one-time chart-topper appears to be headed for an even skinnier start next week. 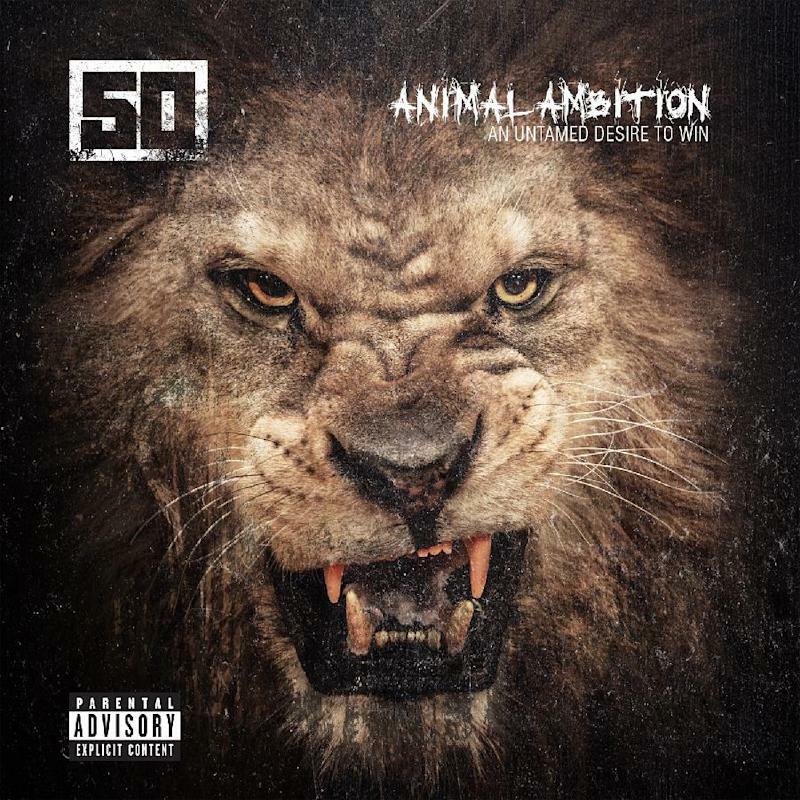 Rapper 50 Cent's fifth studio album, Animal Ambition: An Untamed Desire To Win, is on track to sell about 35K copies in its first week. 50 Cent (whose real name is Chuck Jackson) isn't as much of a household name as Carey is, but each of his first three studio albums sold more than 500K copies in their opening weeks. His 2003 debut album, Get Rich Or Die Tryin', sold 872K copies in its first week. His 2005 sophomore album, The Massacre, did even better, selling a whopping 1,141,000 copies in its first week. His third album, Curtis, sold 691K copies in its first week in September 2007. Alas, Curtis was released the same week that Kanye West dropped his third album, Graduation. The two rappers had a heavily-publicized bet about whose album would sell more copies in its first week. West won the smack-down, when Graduation sold 957K. 50 Cent was seen as losing, even though his hefty opening-week sales tally would have put his album at #1 in all but four weeks that year. It's never good to lose face, especially in the status-conscious world of rap. 50 Cent's fourth studio album, Before I Self Destruct, sold 160K copies in its first week in November 2009. It debuted and peaked at #5. Animal Ambition appears to be headed for a #6 debut (and, most likely, peak). That's just a shade off 50 Cent's previous album in terms of chart rankings, even though it will probably sell less than one-quarter as many copies in its first week. 50 Cent's declining fortunes in coming up with hit singles both reflects and contributes to his album slide. Get Rich Or Die Tryin' contained three top 10 hits, including the #1 hits "In Da Club" and "21 Questions" (featuring Nate Dogg). The Massacre included four top 10 hits, including the #1 "Candy Shop" (featuring Olivia). Curtis spawned just one top 10 hit, the #5 hit "Ayo Technology" (featuring Justin Timberlake and Timbaland). "Baby By Me" (featuring Ne-Yo) was the highest-charting single from Before I Self Destruct. It reached #28. No songs from the new album have yet appeared on the Hot 100. "Pilot" has "bubbled under" the chart at #119. Of course, 50 Cent is far from the only rapper who is no longer able to run up big first-week sales tallies. For every Eminem, Jay Z or Drake, whose last albums sold more than 500K copies each in their first weeks, there are numerous former chart-toppers whose most recent studio albums had modest first-week tallies. Ice Cube's I Am The West sold 22K in its first week. Snoop Dogg's Reincarnated (released under the name Snoop Lion) sold 21K. DMX's Undisputed sold 17K. Nelly's M.O. sold 15K. LL Cool J's Authentic sold 14K. 50 Cent is the sixth best-selling rap or hip-hop solo artist of the Nielsen SoundScan era. He has sold 16,704,000 albums. The top five are Eminem (45,160,000), 2Pac (29,235,000), Jay Z (29,179,000), Nelly (21,815,000) and DMX (17,124,000). Miranda Lambert's Platinum will debut at #1 next week, with first-week sales in the 170K range. It will be her first #1 album. Her husband, Blake Shelton, debuted at #1 in July 2011 with Red River Blue. The Frozen soundtrack, Brantley Gilbert's Just As I Am, Coldplay's Ghost Stories and Now 50 (in that order) will probably round out the top five. I'll have all the details on these and other albums in Chart Watch next Wednesday.